For centuries humans have feared, hunted, and in some cultures, worshiped the shark. This lesson provides your students with an intimate understanding about the animal that we have only recently realized is an important member of the oceanic ecosystem. Students will gain insight into what makes sharks the fierce predators they are and how they, like us, must deal with mathematical principles which work against them. •Manipulate probability statistics relating to human encounters with sharks. •Determine the age of a shark by using growth rate. •Predict how many offspring a shark is capable of producing. 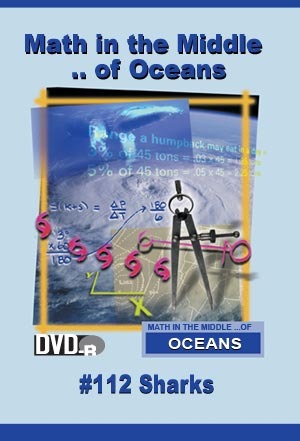 •Interpret charts of buoyancy to determine whether an object will sink or float in a liquid.